WASHINGTONJuly 7, 2011: – Michigan International Speedway has been chosen as one of only six venues in the country to host U.S. Department of Transportation testing for wireless vehicle-to-vehicle safety communication technologies. The first in a series of six Light Vehicle Driver Acceptance Clinics will be held at MIS starting in August to help the federal government and the automobile industry learn more about how drivers respond to communication-based safety warnings that are intended to reduce traffic accidents and save lives. So Brooklyn, Mich., joins a list of other cities including Dallas, San Francisco, Orlando, Brainerd, Minn., and Blacksburg, Va., that will also host the trials. The Connected Vehicle Drive Clinics at MIS are part of a Department of Transportation research program with several government agencies and the Crash Avoidance Metrics Partnership (CAMP) Vehicle Safety Communications 3 (VSC3) Consortium, a research consortium of eight automobile manufacturers (Ford Motor Company, General Motors LLC., Honda R&D Americas, Inc., Hyundai-Kia America Technical Center, Inc., Mercedes-Benz Research and Development North America, Inc., Nissan Technical Center North America, Inc., Toyota Motor Engineering & Manufacturing North America, Inc. and Volkswagen Group of America). The program is aimed at developing technology that will help vehicles avoid crashes by communicating with nearby vehicles and with roadway infrastructure such as traffic signals, dangerous road segments and grade crossings. This is achieved by alerting the driver when there is a risk of a crash or other safety driving hazard. But before real-world testing is undertaken, agencies must test in a safe, controlled environment and this is where the MIS facility serves this critical role. Approximately 100 local drivers will be recruited for the clinic, which will take place in controlled locations around the racetrack. Each clinic will include about 16 cars equipped with technology applications which drivers will evaluate as they use the vehicles in a controlled environment designed to simulate real roadways and intersections. Michigan International Speedway was chosen because of its existing road infrastructure and its status as a private, neutral environment, said Kevin Kelly, Director of Business Development for MIS. The trials will take place along MIS’ road course, some of which will be outfitted with temporary traffic signals to mimic city streets and roads. Movable traffic lights will allow agencies to test anywhere on the track’s pavement throughout the 1,400-acre property – also another plus for the racetrack. 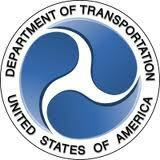 The Driver Acceptance Clinics and Model Deployment are part of a major research initiative managed by RITA’s Intelligent Transportation Systems Joint Program Office and National Highway Transportation Safety Administration as well as the Federal Highway Administration. Both the Driver Acceptance Clinics and the Model Deployment results will help NHTSA decide, in 2013, if the technology is sufficiently advanced enough for NHTSA to begin a series of rulemakings that could eventually require manufacturers to provide vehicle-to-vehicle communications capabilities in new vehicles. Located in Brooklyn, Mich., about 70 miles west of Detroit, Michigan International Speedway has a storied 43-year history of some of the best, high-speed oval racing in the country. The racetrack has several road courses, both in and out of the racetrack’s oval.